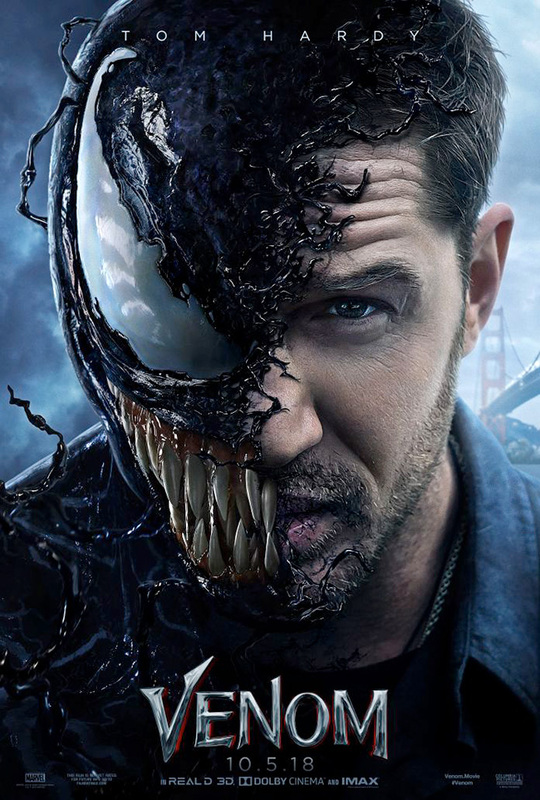 “Venom,” which opens on Oct. 5, 2018 and is rated “PG-13,” also stars Michelle Williams, Woody Harrelson, Jenny Slate and Riz Ahmed from director Ruben Fleischer and writers Scott Rosenberg and Jeff Pinkner. To win your free passes to “Venom” courtesy of HollywoodChicago.com, just get interactive with our social media widget below. That’s it! This screening is on Wednesday, Oct. 3, 2018 at 7 p.m. in downtown Chicago. The more social actions you complete, the more points you score and the higher yours odds of winning! Completing these social actions only increases your odds of winning; this doesn’t intensify your competition! Deadline: Entries can continue being submitted through Monday, Oct. 1, 2018 at noon CST. These Hookup winners will be awarded via e-mail on that date. The movie poster for “Venom” starring Tom Hardy. This HollywoodChicago.com Hookup is simple! Just get interactive in our social media widget above. We will award 40 admit-two movie tickets based on social entry numbers and/or randomly via e-mail for our “Venom” Hookup. Good luck!